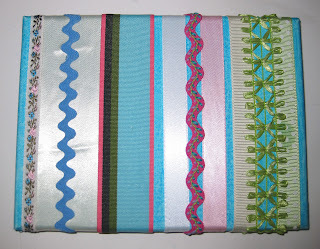 I have a lot of cute ribbon in my sewing box. The only problem is that I never know what to do with them. 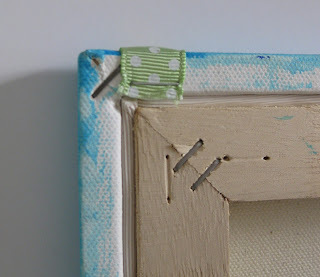 This little craft was a great way to use up some of my ribbon scraps. some "little something extra "
The first thing I did was paint the canvas, but it could work with a white background. 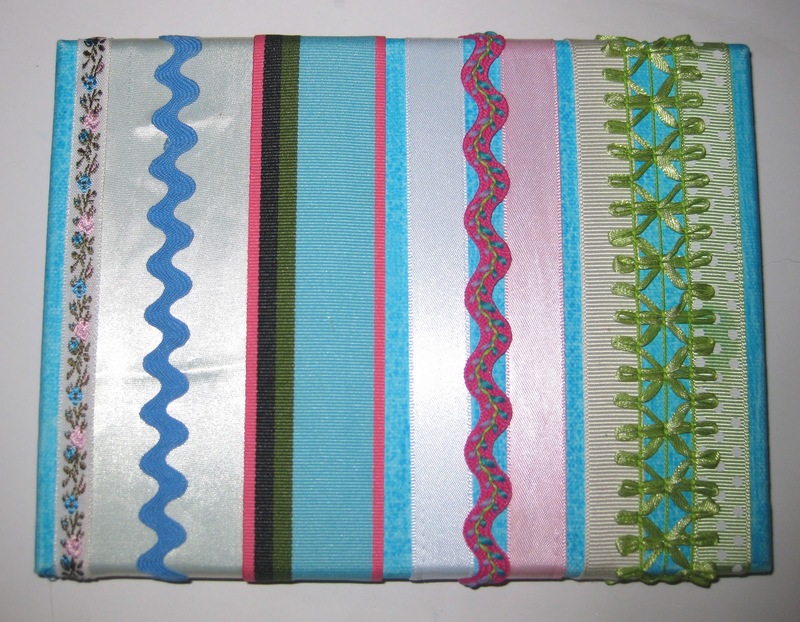 Then choose your ribbon and start stapling. Note - if you are using a regular stapler, you really need to slam it down, so that the staple will go straight into the wood. This might take a couple of tries. I discovered that I didn't need to pre-measure the ribbon. 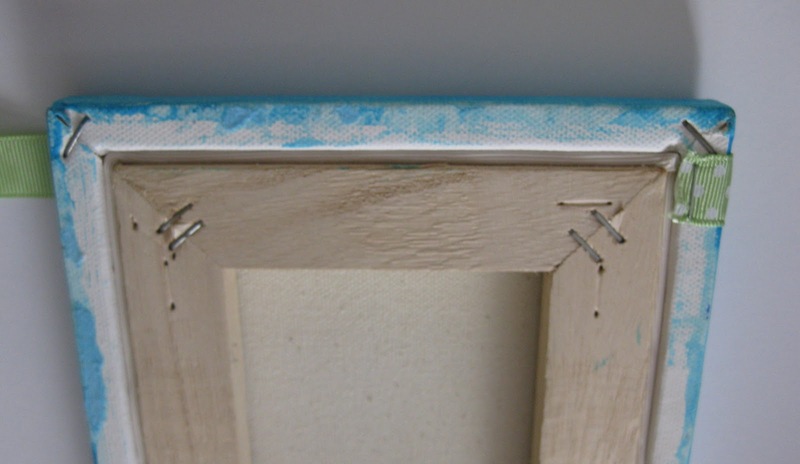 All I needed to do was stretch the ribbon to the other side of the canvas, staple it down, then trim the ribbon. 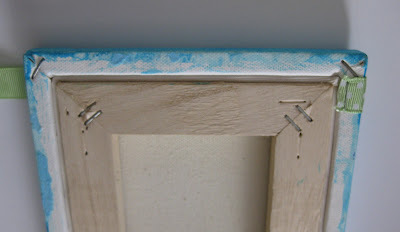 Stretch out the ribbon to the other side of the canvas, staple it down, then trim. ﻿﻿ Keep stapling the ribbon on the canvas until you're done. However, once I was finished, I just felt it need a little something extra. So I drew some little kids on card stock and had them peak out of the ribbon. You could also cut out some small photos for the same effect. You could keep changing out the pictures and use the canvas like a little memo board. I love this idea! I have two boxes of ribbon scraps and tons of cute things to add...hello kitty! I'm originally from San Francisco, but now I call Long Beach home, along with my husband, young daughter and dog. I've always loved to make small crafty things. Ethereal theme. Theme images by clintscholz. Powered by Blogger.